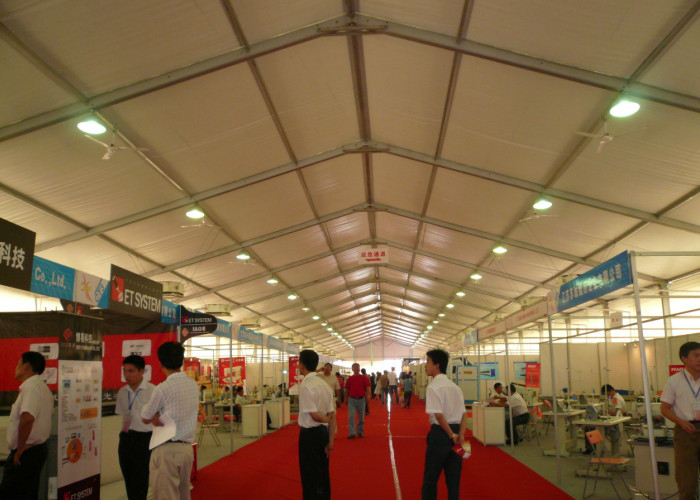 For its flexible structure, easy to assemble and dismantled feature, the heavy duty aluminum structure tent is more and more widely used on outdoor exhibitions and fairs. Meanwhile, as a supplement of in-house exhibitions, it can be used as reception, ticket-entrance. 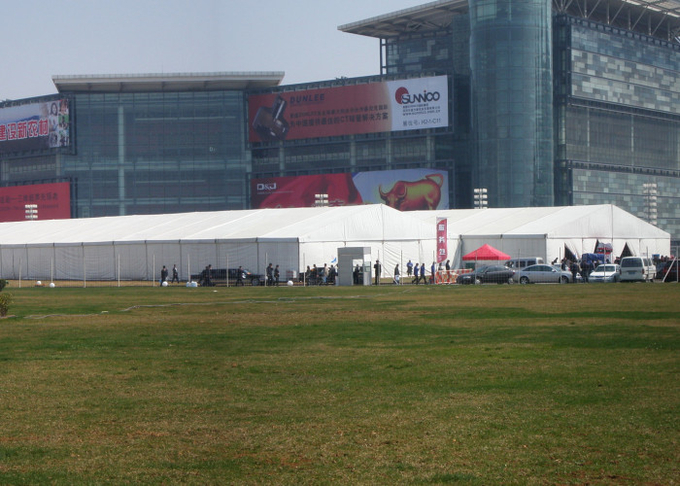 This 20x50m exhibition tent is made of aluminum structure, white pvc cover and walls for auto shows. The roof cover and side walls covers are high quality double PVC-coated polyester textile, 100% waterproof, flame retardant to DIN4102 B1, M2, CFM, UV resistant, tear resistant, self-cleaning ability, etc. The side cover can be replaced by white pvc, sandwich wall or ABS walls. Other Optional Items: booth, AC, chairs, tables, lighting, mobile toilet etc. 3. The length of the structure can be shortened or extended according to the requirements.